Soaking in one of Budapest’s legendary thermal baths is a wonderful way to experience a quintessential part of the local Hungarian culture. Known as the “City of Spas,” Budapest has a unique abundance of natural hot springs and some of the most beautiful bath complexes in the world. 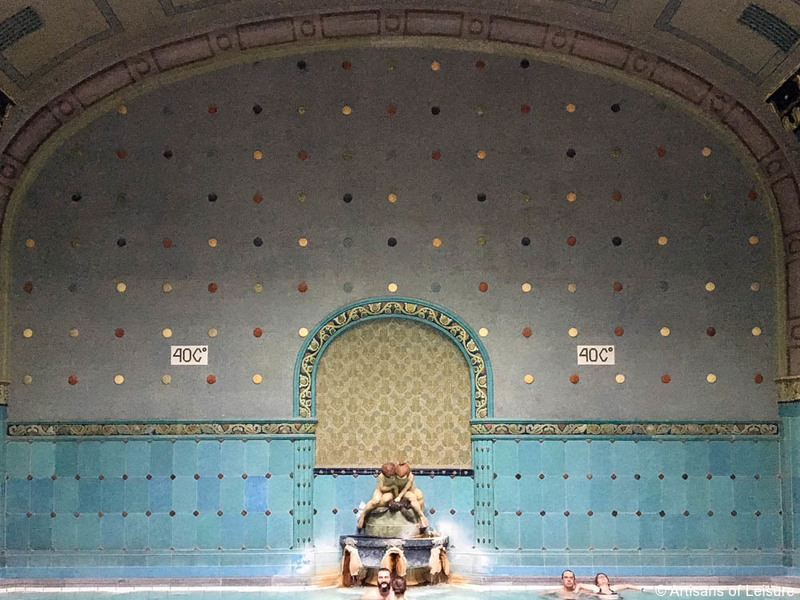 The historic thermal baths are great to visit any time of year, especially in cold crisp air, and can be incorporated into any private Budapest tour. The Hungarian bathing culture dates back thousands of years to ancient Romans in the area but the deeply ingrained cultural practice that exists today has its roots in the Turkish occupation of the 16th and 17th centuries. The Ottoman Turks brought hammam culture to Budapest and built a number of baths, some of which still exist today. Later, 19th and early 20th-century wellness trends in therapeutic soaking subsequently led to the building of grand bathing palaces. Artisans of Leisure arranges visits to the top thermal baths in Budapest, including the Szechenyi Baths and the Gellert Baths, two of the most spectacular, historic baths in the city. The Szechenyi Baths feature expansive outdoor bathing pools framed by opulent Neo-Baroque architecture, giving the public bathing experience an impressive sense of grandeur. 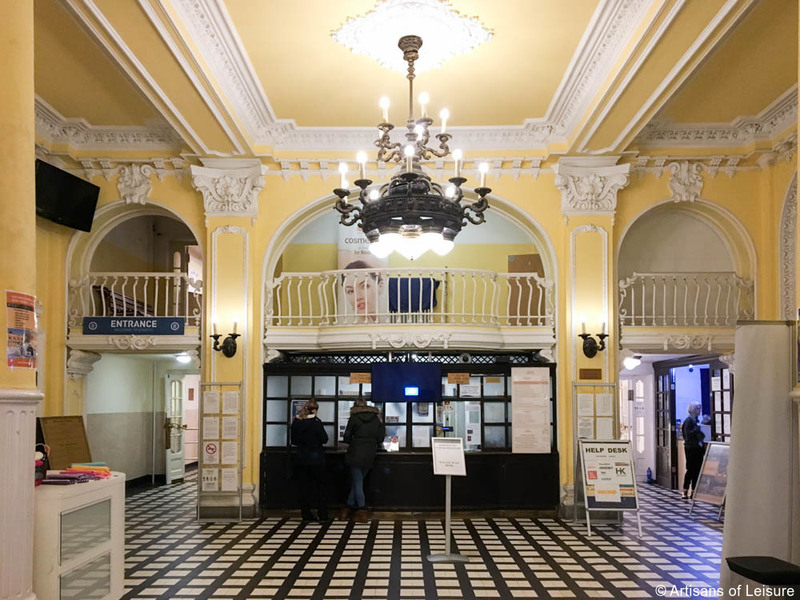 Although the magnificent complex looks like an aristocratic palace, it was purpose-built in the early 20th century and the main building houses additional bathing pools, saunas and massage therapy rooms. 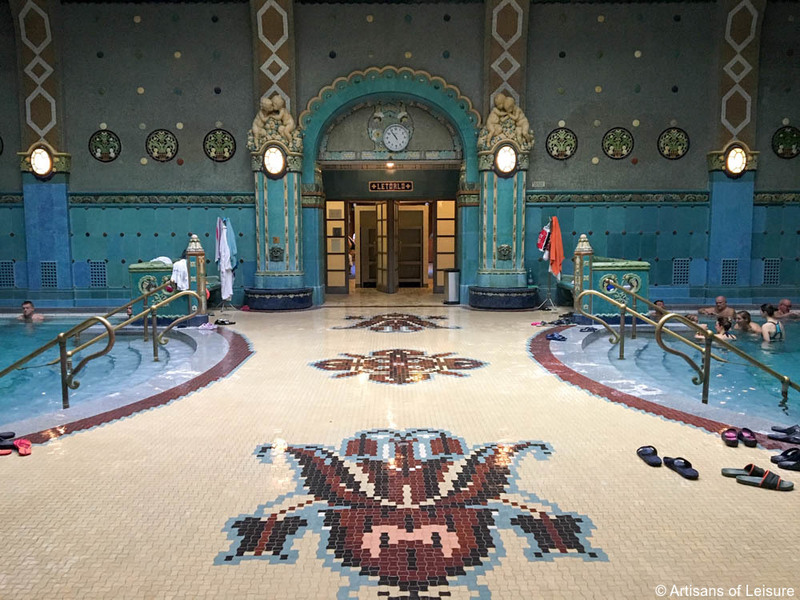 The famous Gellert Baths have been recognized as the most beautiful in Budapest since opening as part of the Gellert Hotel in 1918. Constructed over a hot spring that has been in continuous use for centuries, the ornate building is a prime example of the Hungarian Art Nouveau style. 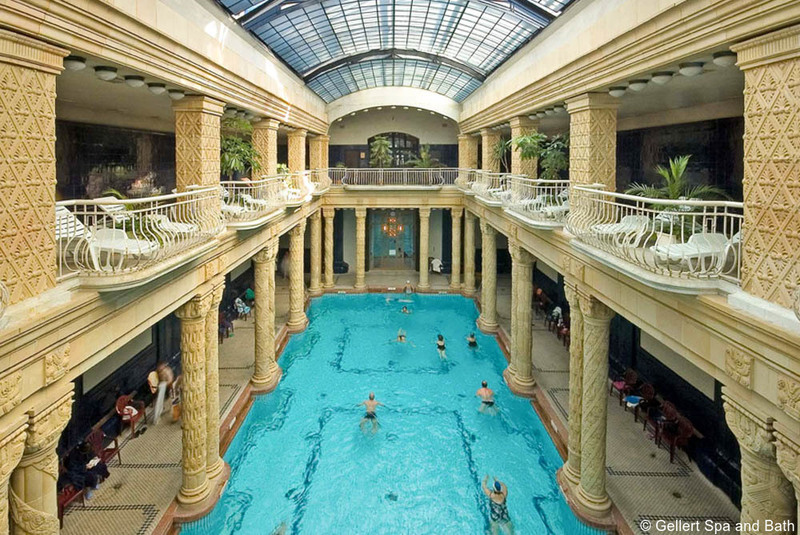 Exquisite mosaics, columns and sculptures decorate the public thermal baths, steam rooms and wave pools. 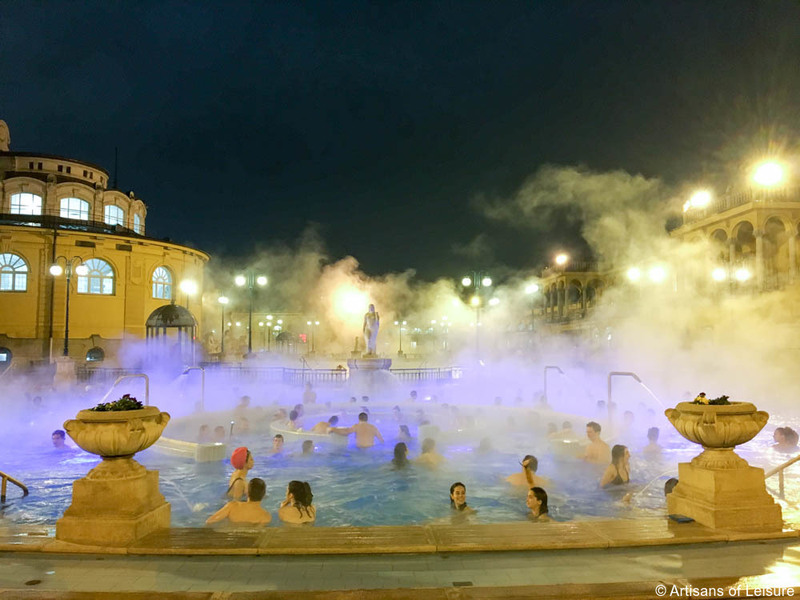 Popular with locals and visitors alike, the thermal baths are an integral part of Hungarian life; doctors regularly prescribe bathing sessions in the hot mineral waters for the health benefits as well as for relaxation. The baths–especially the Szechenyi baths–are also fun for families traveling with children. Contact one of our Hungary specialists to start planning a private, customized tour of Budapest.